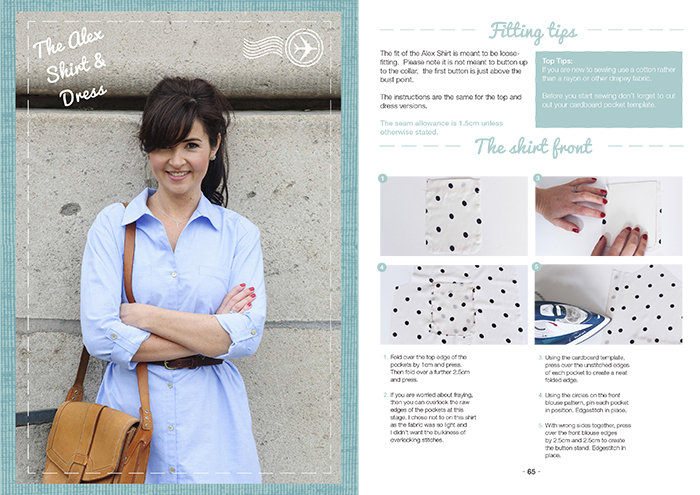 The Capsule wardrobe Ebook is a collection of five sewing patterns from Sew Over It. 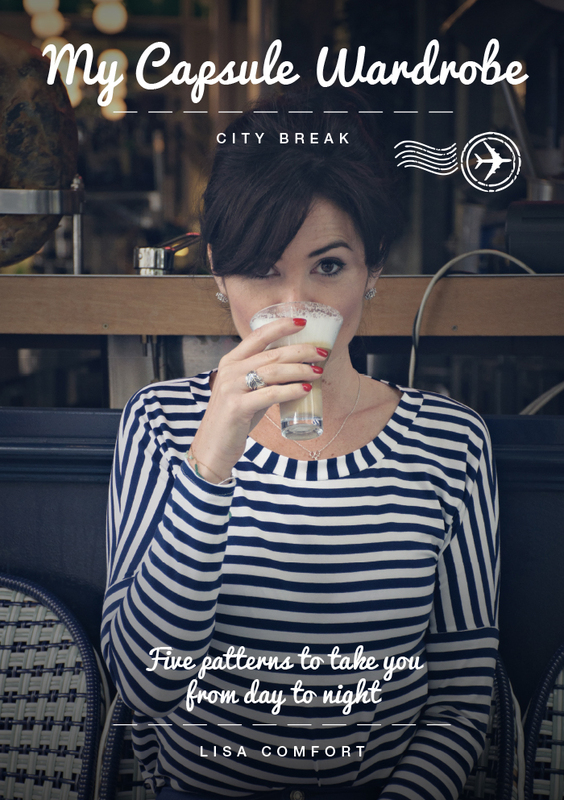 All the patterns are interchangeable and perfect for a weekend break away! A high-waisted with a classic button-down front, and comes with two options for length. 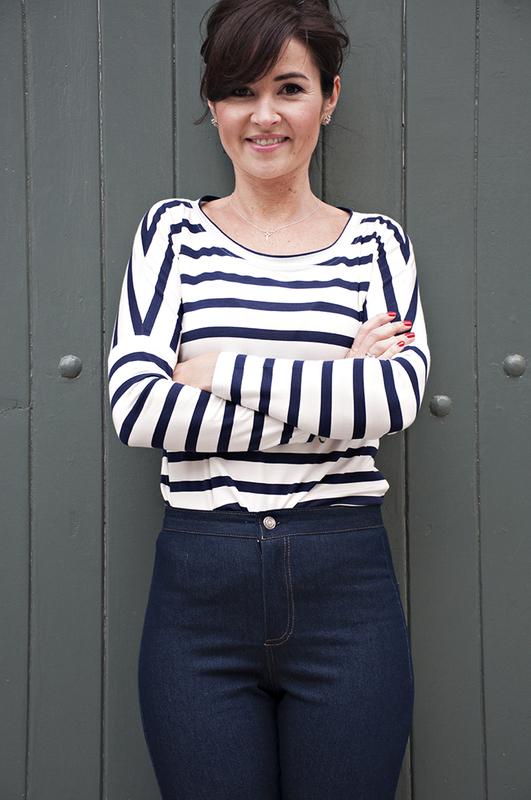 Go short and cute for a more casual look, or timeless and elegant with the knee-length option. 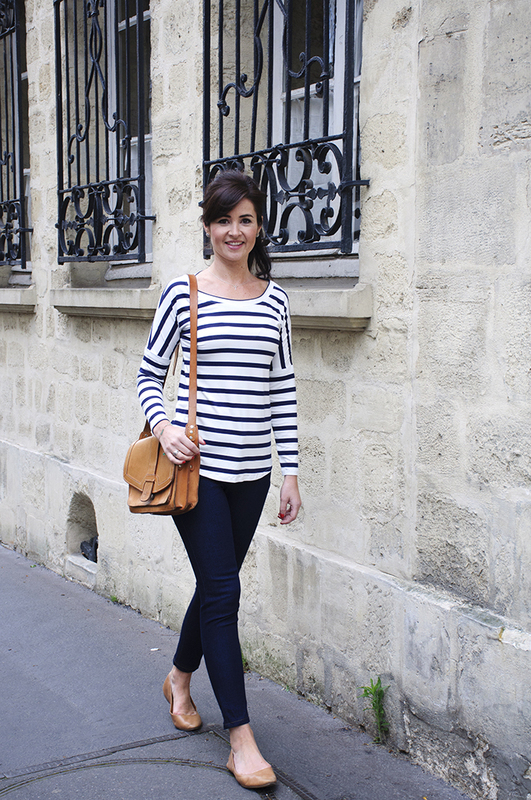 A simple jersey top with dropped shoulder and easy to whip up in an afternoon. 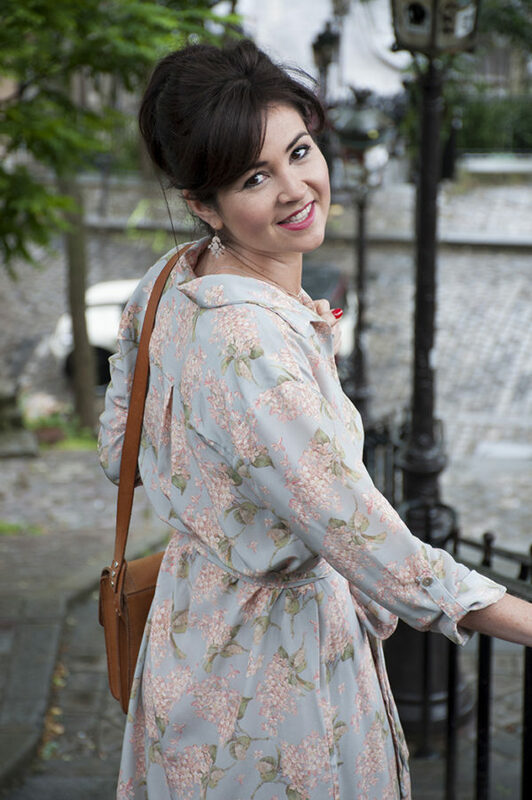 Make it in a heavier ponte di roma jersey and Molly makes a perfect casual dress. 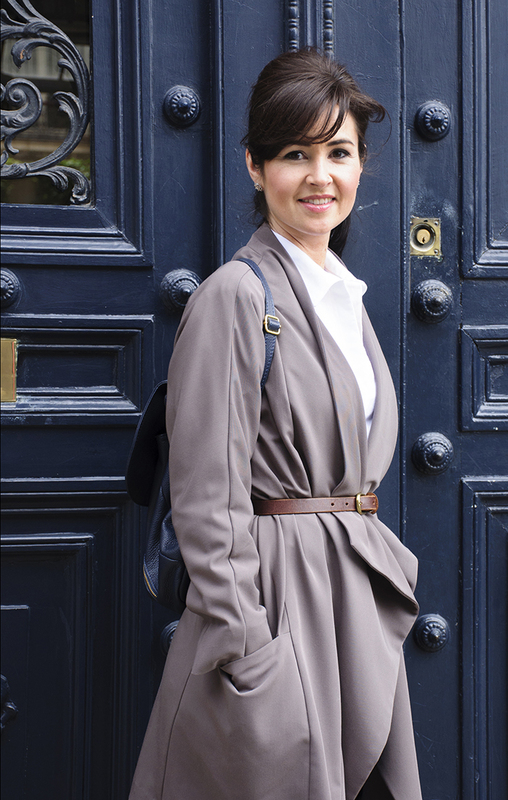 Two-in-one, this shirt is the Alex Shirt Dress is a versatile, classic pattern that will take anyone seamlessly from day to night. Although always loose and comfy, this pattern can look completely different depending on fabric choices. 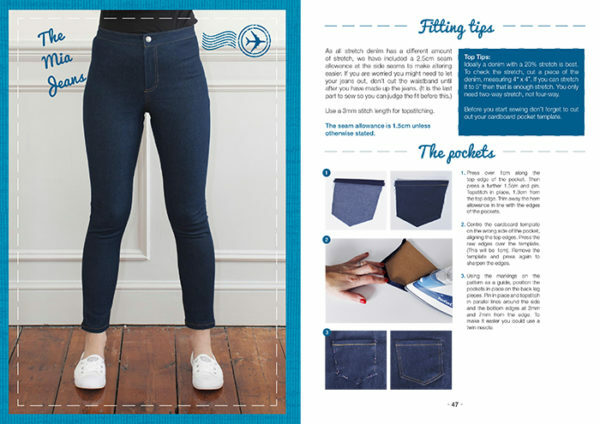 Your classic pair of skinny jeans, Mia is the perfect pattern if you’re new to sewing jeans they are high-waisted with a front fly and back pockets. 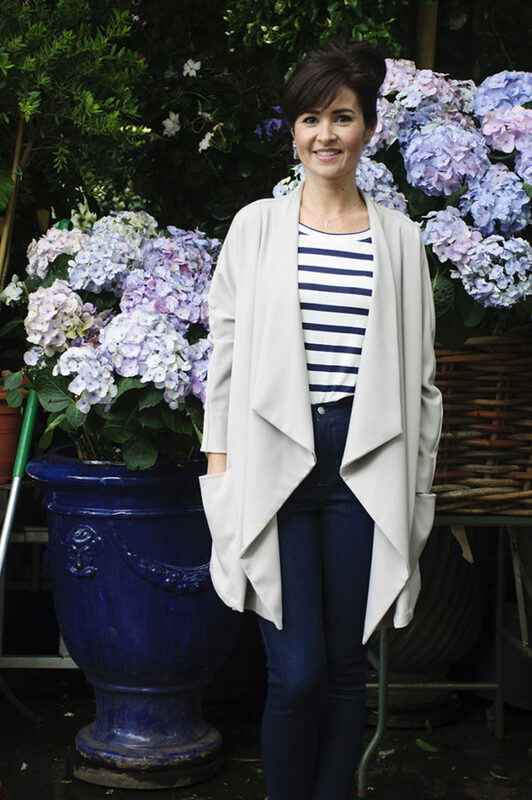 Lola is a stylish yet comfy waterfall-front coat that you can throw on over any outfit! 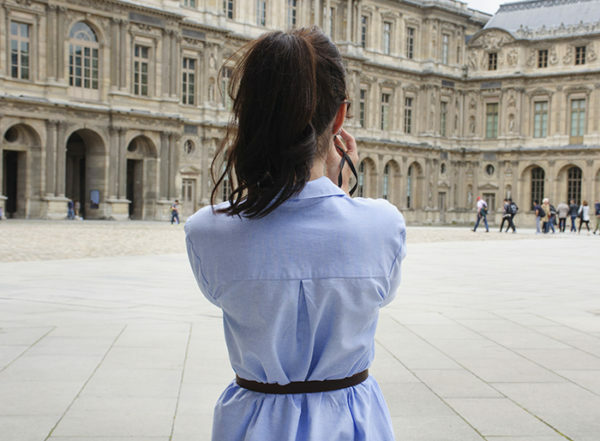 Make it short or long, and choose to wear it open or nipped in with a belt. Find out more about this sewing pattern from Sew Over It here. I sewed the Erin skirt from Sew Over It’s City Break Capsule Wardrobe collection. What I liked: This is a versatile pattern that could be sewn up just above or just below the knee in tons of different fabrics. It’s a true wardrobe builder, and it sews up very quickly. If you were feeling cheeky, you could use the skirt to show off eye-catching buttons. The large front pockets are highly functional for a gal on the go. What could be better: The pattern calls for a non-stretch woven, but I think something with the tiniest bit of stretch would help with recovery after a day of wearing the skirt. There are some spots in the directions that could be improved; for example, there are center back notches on the waistband that don’t align. 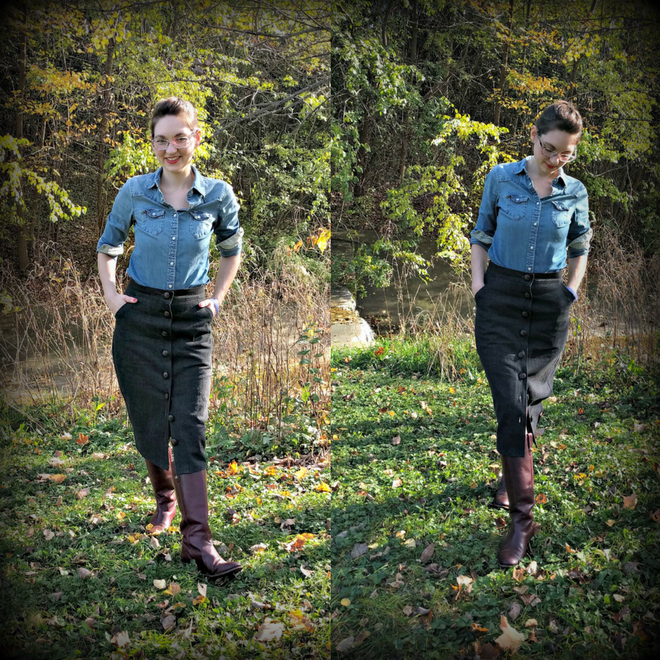 You’re invited to read my full review and get tips for stitching the Erin skirt: http://siemacht.blogspot.com/2016/11/sew-over-it-erin-skirt.html. Please let me know what you think! Perfect beginner make. Instructions are great as usual for this designer and sizing was spot on too. Will definitely try to make this again possibly in a suedette or non stretch fabric. Looking forward to making other items from the book. 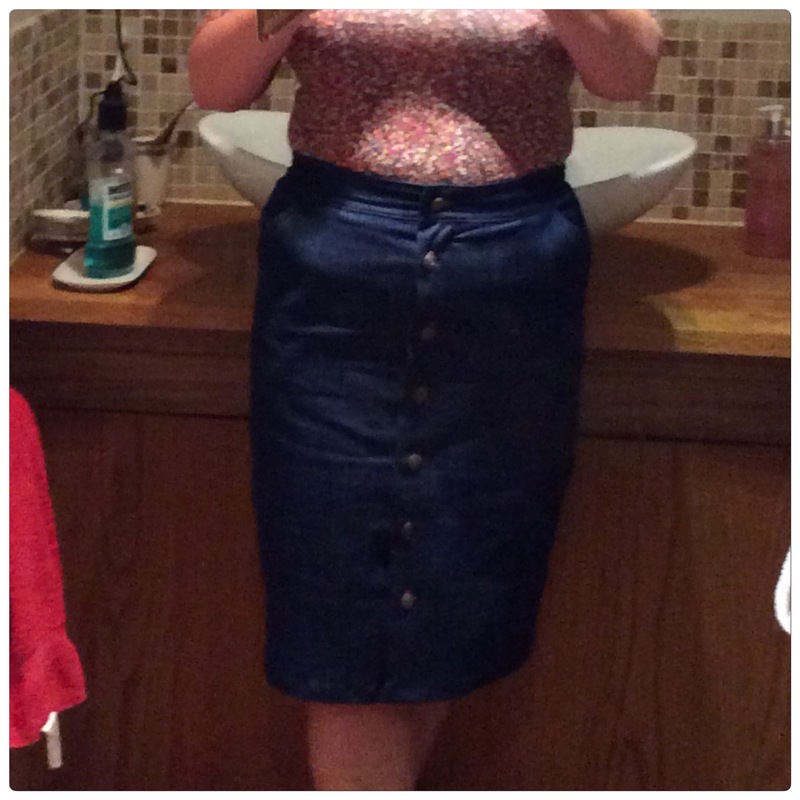 This is a lovely barkweave stretch denim from Fabric Godmother, which is a dream to sew up and the buttons are Prym jeans buttons from Minerva Crafts – no sewing, just clip together, yeah! The only alterations I made were grading for my apple shape (which is a normal alteration Required) and I also added a hidden button/buttonhole on the left placket between the waistband and first button to stop any gaping, which i’ve noticed on a few blog reviews.